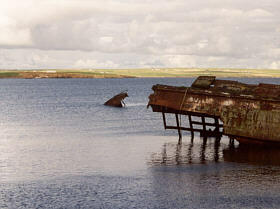 The third largest vessel sunk by a U-boat during the war and one of only two British battleships lost to the U-boat fleet, the Royal Oak has remained at the bottom of Scapa Flow to this day, and 14 October has become a focal point in the history of the Royal Navy, with a ceremony being held on this date every year where naval divers place a white ensign on the hull. While the vessel is off-limits to civilian divers, it is still treated regularly by the men of the Royal Navy, mainly to deal with the gradual seepage of the oil that has taken place since its sinking in 1939. 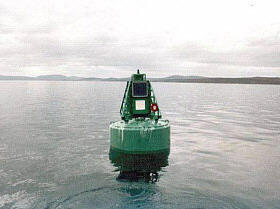 Its location is marked by a simple memorial buoy. The Royal Oak had gone down carrying over three-thousand tons of oil, and the leak wasn't seen as a serious problem until as late as 1996 when oil was found washed up on a local beach. The problems faced were twofold, in that the determination of the local authority to prevent any further leakage and environmental damage was weighed against the status of the ship as a war grave. Expensive solutions have been toyed with, but as yet nothing has been found. The hull of the wreck still contains large amount of oil, and the results of it splitting and releasing its contents into the Flow would be catastrophic for the population of the Orkneys: the local economy of the islands relies heavily on the farming of fresh high-quality shellfish; there is also its reputation as a haven for a number of seabirds and marine life, including a large native seal population. 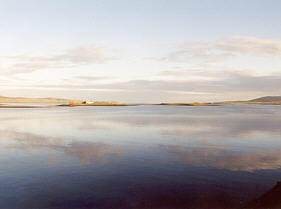 Scapa Flow is home today to a number of museums, including the Lyness Interpretation Centre on the island of Hoy which chronicles the history of the base during both World Wars. 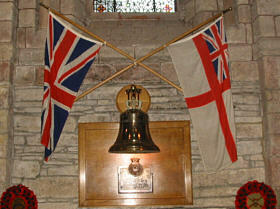 Close to the Centre is the Lyness Naval Cemetery, which houses the graves of those who died on the Royal Oak. It is also possible for divers to see some of the many wrecks the lie on the sea bed. More information on what to do in and around the Scapa Flow area can be found on its official tourist information site.